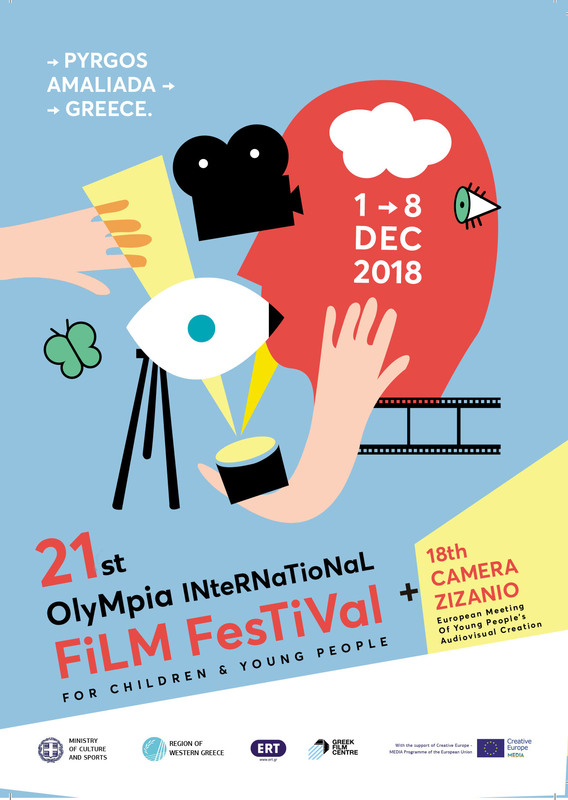 What we got out of our experience in the children’s jury of Camera Zizanio, was not only the pleasure of participation in such a great institution, but also the concerns and knowledge that led us to think in many and varied ways. The choice of the films that got awards was based on the effort of the children who created them but also on their achieving the best result possible. All the participants deserve our sincere congratulations. The jury included children of a wide spectrum of ages which made the process of judging much more interesting. The many points of view of the members of the jury as well as those of the children who took part with their films made the choice of the best films quite more difficult. This European, cinematic celebration which kept going even out of the screening rooms and lasted for so many days, colored the daily routine of the hard, in our days, daily life and we are certain that no one and nothing will stop it from happening in the years to come. So, see you next year, with even more willfulness, fun and creation. As every year, this year as well, all of us, from the children’s jury, watched hundreds of films. Even though the participation from abroad was less than previous years there were many films that made a strong impression on us and showed for one more time the power of imagination and the creativity of children and young people. Some of them stood out either because of their originality, their cinematography, the colors and their imagination, or the direction, editing and the talent of the cast. Moreover, the effort of the children who made the movie and achieved this result, played an important role. This year we had some films from the children from Occupied Palestine. As we all are children of a free country here, we tried to understand those kids, who from their early childhood, have lived in a hostile environment, a situation we can’t even imagine. So we would like to thank them for their participation in the Festival and their notable effort. We know that the purpose of these animation films that took part was not so much the technical part in creating a movie as the possibility to have their voice out loud, expressing their point of view, their requests and in general, all the issues that are important to them. However, the result was quite good and worthy of our respect. We would also like to thank in particular, the organizations that have worked on that project and gave their best for the Post-trauma rehabilitation of Palestinian ex-detainee children.